due to August cancellation NOW AVAILABLE from 5 JULY until 23 AUGUST 2019. Offered by Owner: 10% cash rental refund on arrival for a 2 week booking, PLUS 6 bottles of complimentary wine for a 3 week booking. 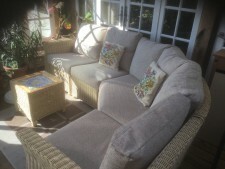 South and West facing terrace, and large furnished garden with lots of sunshine and shade. An unusual & spacious design accommodation. 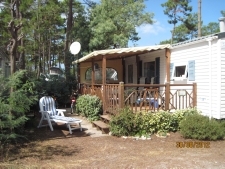 42 Chatangiers is a 39 sq metre luxury mobile home with a large chalet-style verandah/dining room extension, (giving the ambience of a chalet and a total of over 55 sq metres living space. 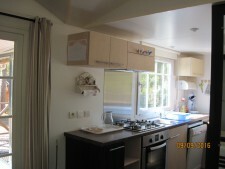 Comfortable living room, large superbly equipped kitchen, bathroom & wc. 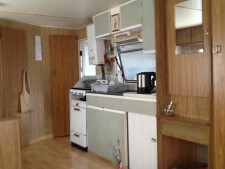 dishwasher, washing machine, large fridge and freezer. 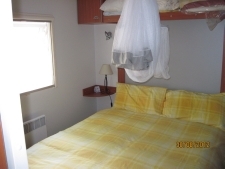 2 bedrooms (1 new kingsize bed, & 2 singles) & a single sofabed and fold-up camp style bed in the large dining room extension. 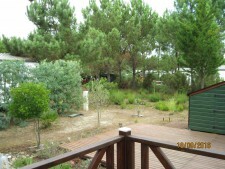 Large furnished garden & parking. 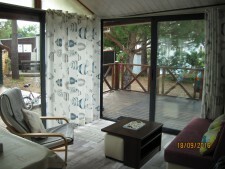 There are 2 vast sandy naturist beaches a short bike ride away - one being "dog friendly". We have also recently added a shade cover/awning to part of the outside terrace. 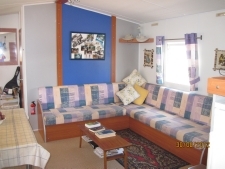 RENTALS from: 350 - 945 euros per week, including Euronat passes. Special offer discounts shown above due to cancellation. 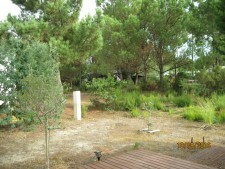 5 minutes from Plage 2. 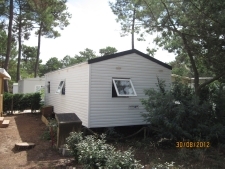 This is a lovely, well kept mobile home in a pleasant setting, with nice garden. Large living room with convertible bed. the sanitary block is close by. 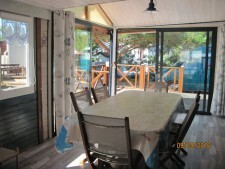 The Kitchen is in the spacious and well equipped awning with large dining area. 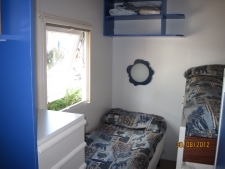 includes electricity and bed linen. 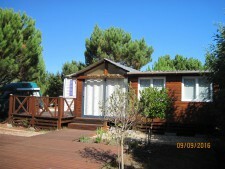 Rentals from 300 euros - 450 euros per week. 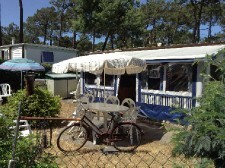 the dining room and main kitchen are in the large awning. nd large table with 6 dining chairs. 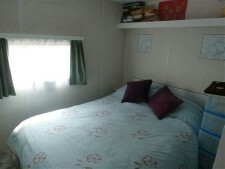 2 bedrooms + sofa bed in living room plus of other equipment including bbq. 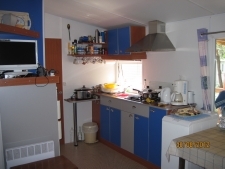 Modern kitchen with 4 ring gaz hob, microwave, fridge, separate freezer & washing machine. 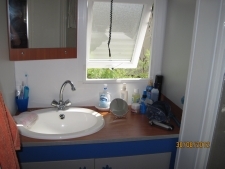 The bathroom has a shower and handbasin. There is a separate wc with handbasin. 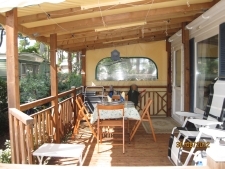 Lovely covered, decked terrace used for outside dining. Garden furniture, outside gaz barbecue with roasting cover. Operators of the website act only as advertising agents. 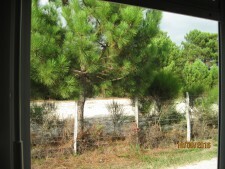 Individual owners are responsible for their own property, for descriptions and details. For their terms and conditions clients must contact the owners direct.